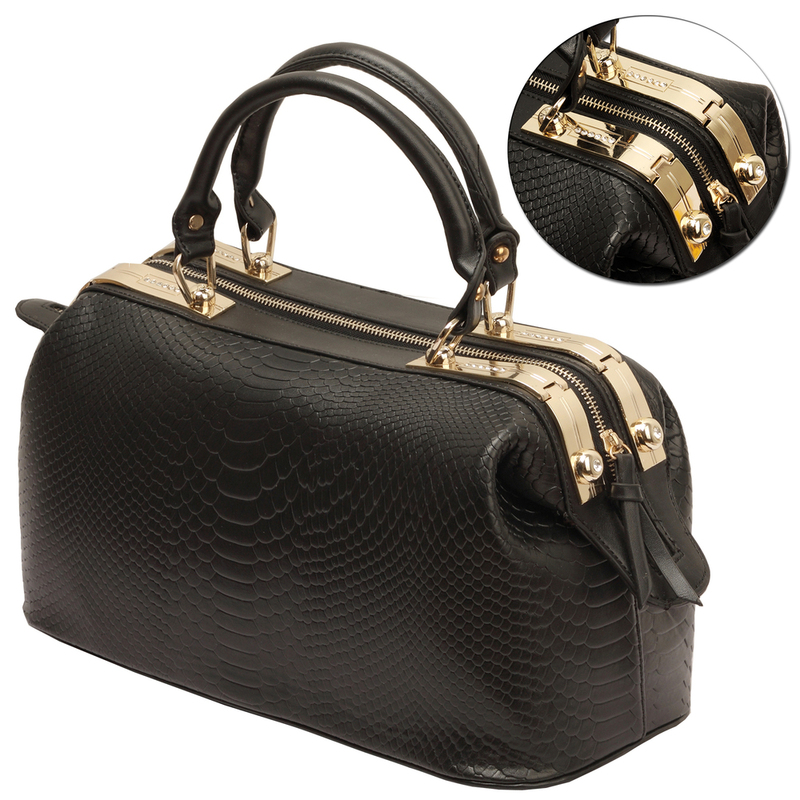 Faux-crocodile doctor-style office tote with gold-tone hardware and a sleek, professional look. 2 sturdy top handles and an adjustable shoulder strap. Zipper hinged compartment with 2 pocket-style organizers, 2 zippered pouches, and 1 large pocket. 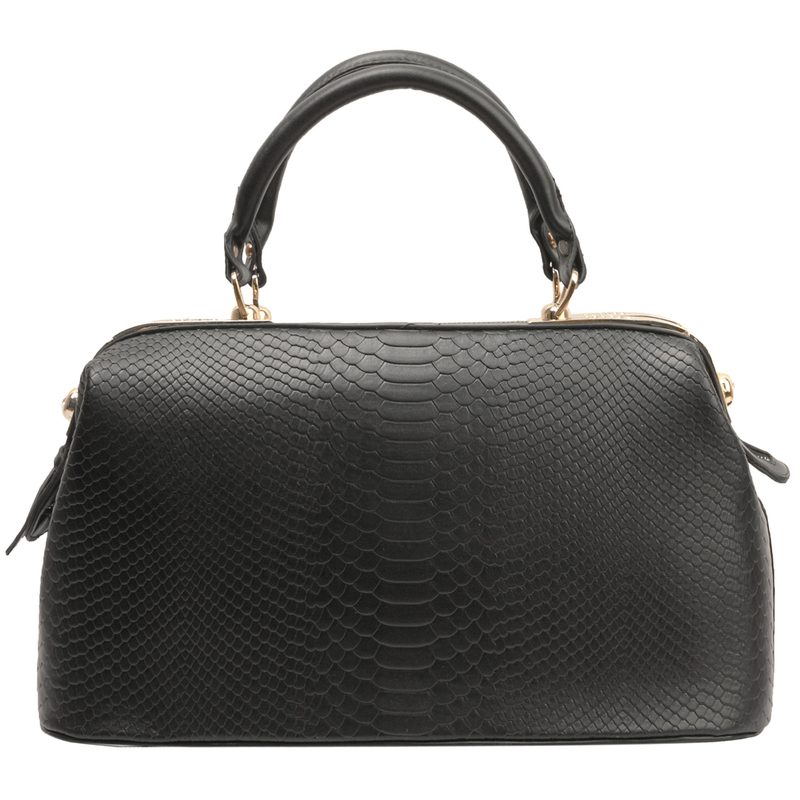 Blend business and pleasure with this stunningly doctor style handbag. 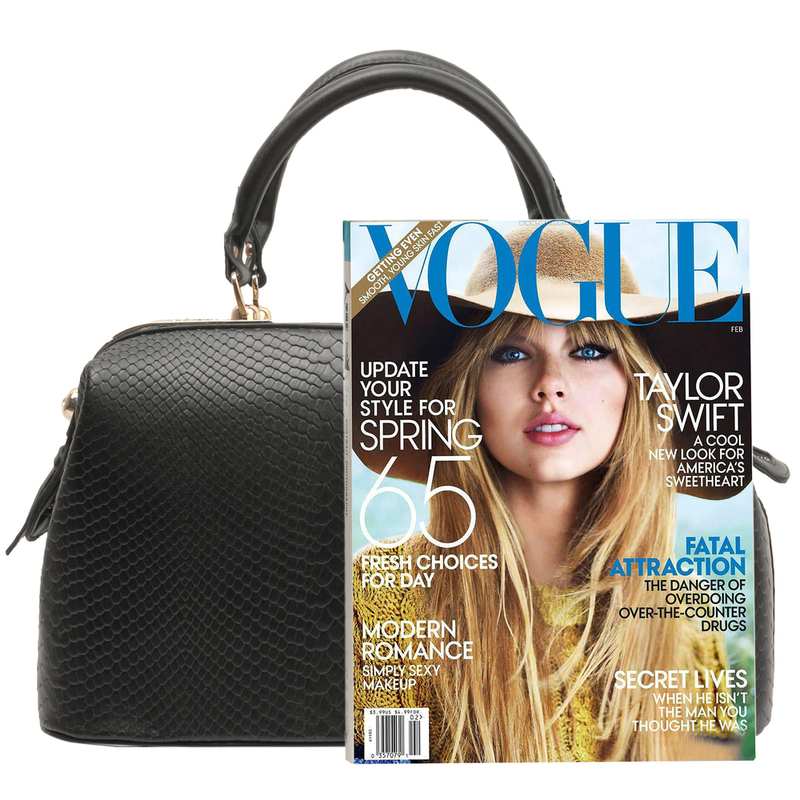 The MG Collection satchel is sleek and structured style. Everlasting faux-crocodile embossed shows off a chic, professional vibe that will let the world know that you mean business. This bowling purse adds a touch of glamor to your workday as well, thanks to the sparkle of Rhinestones set into the top of this shoulder bag and gold-tone hardware. Stay ready for anything with all your essential supplies stowed inside this tote bag's spacious interior, which features a roomy main zipper hinged compartment, 2 pocket-style organizers, 2 zippered pouches, and 1 large pocket to help keep smaller items organized and easy to find at a moment's notice. Just grab hold of the 2 top handles or slip the detachable shoulder strap over an arm to keep this office tote close at hand. Take advantage of the metal studs on the bottom to set your bowler on the ground. Ready to look fabulous and feel prepared throughout even the busiest of days? This designer inspired top double handle handbag is the perfect companion. It's one of the most day- and evening-appropriate tote bags of the entire range.